The Lancashire legends join a host of stars in the video for Thank U NHS. Shaun Ryder is among the stars to appear in a music video dedicated to the National Health Service. The Happy Mondays legend has joined forces with the likes of Johnny Vegas, Sadie Frost and former Corrie actress Julie Hesmondhalgh for the track, which their hoping will make Christmas No.1. As Manchester Evening News reports, the celebs are joined by the general public and children, doctors and medics for the feel-good vid, which borrows from the likes of The Scaffold's Thank You Very Much and The Kinks' The Days. The song features lead vocals from Manchester kids group Little Belters and Mickey Kerr with lyrics written by ex-doctor Adam Kay who wrote a best-selling book about his experiences in the NHS, This is Going to Hurt. Simon says: “I read Adam’s book on holiday a few weeks ago and whilst it delivered plenty of laughs, it also did a great job of showing just how tough it is within the NHS. “I contacted him straight away with the idea of a song and he jumped at the chance to pen some lyrics. 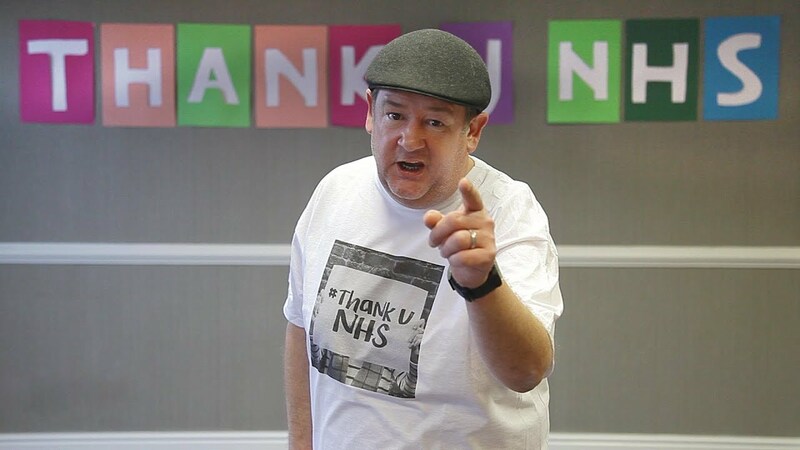 "Johnny Vegas is a passionate supporter of the NHS, as is Shaun, and they came straight on board as soon as we approached them. The Little Belters are a great set of singers. They literally just belt it out with passion, and seem to really get it." The song was released on Friday 15 December, and is available to download at generalpublic-ft-johnny-vegas.bandcamp.com. Profits from the song will go towards the contributors’ nominated charities.